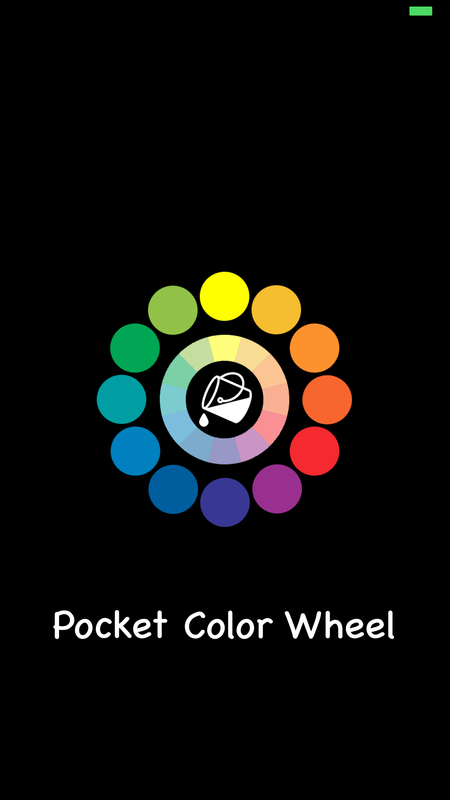 Pocket Color Wheel is the simple solution to the problem of not having a fully featured color wheel on hand. 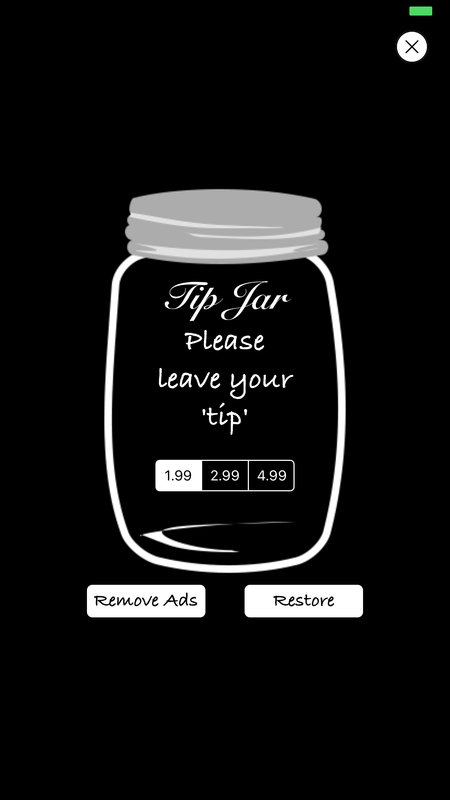 The simple high contrast interface makes for easy navigation. 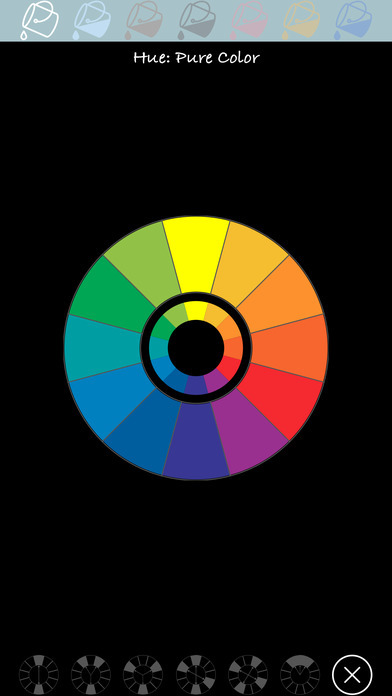 In addition to traditional color wheel features there are a set of color filter presets. 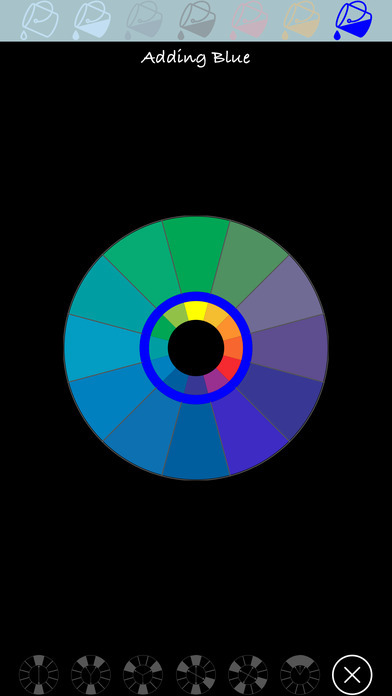 The filter presets modify the display such that the elements of the selected color scheme (complementary, split complementary, triadic, tetrad or analogous) are displayed. The result is a minimization of distractions while exploring harmonious color relationships. It’s easy to mix colors. Simply select the desired color from the top toolbar. The updated mixture will appear on the wheel. Select a color scheme in the bottom toolbar. 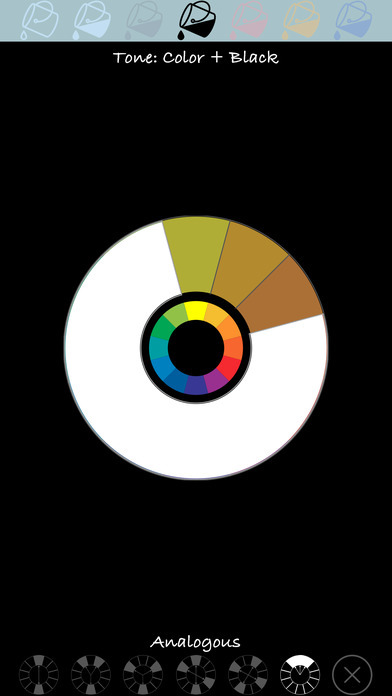 Rotate the wheel to change the color combination. 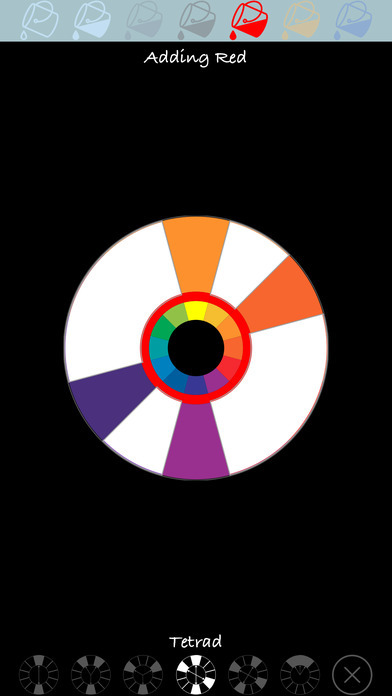 Pocket Color Wheel is available in the App Store.